Martin & Martin Attorneys, P.A. Our goal is to connect people with the best local experts. We scored personal injury lawyers on more than 25 variables across five categories, and analysed the results to give you a hand-picked list of the best personal injury lawyers in Greenville, SC. Beattie B. Ashmore Attorney at Law is a law practice in Greenville concentrating on civil litigation, criminal defense, and personal injury. Mr. Ashmore was a Federal Prosecutor in the U.S. Attorney’s Office in South Carolina and spent three years in the civil division and three years in the criminal division. He has an AV Preeminent rating from his peers with Martindale-Hubbell® and is a life member of the National Association of Criminal Defense Lawyers. Christian & Davis Attorneys at Law, founded in 1975, is headquartered in Greenville and focuses on personal injury cases. 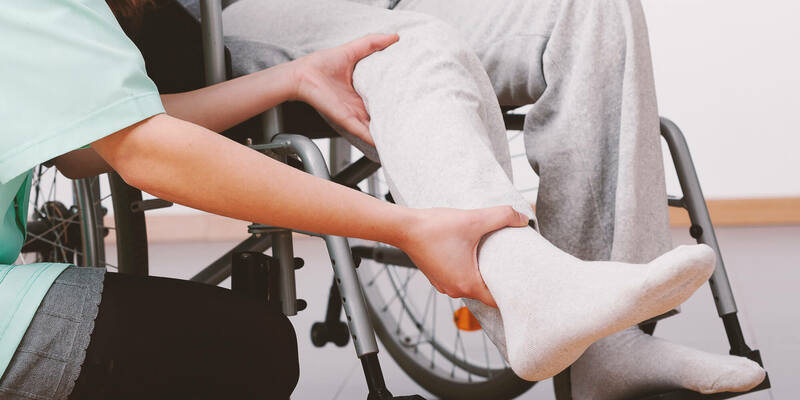 Other types of claims include workers’ compensation, injuries caused by defective products, social security disability, medical malpractice, insurance claims, wrongful death, automobile accidents, and disability-related labor and employment issues. The firm received an AV® Rating by Martindale-Hubbell® and is a member of the American Association for Justice. Foster Law Firm, founded in 1955, is a attorney litigation firm in Greenville. The firm practices burn injury and flammability cases, ERISA and long term disability claims, worker's compensation, and personal injury. The firm is guided by partners Robert P. Foster (AV-rated), Chad Bacon, and Nathan Bax. George Sink, P.A. Injury Lawyers is a firm dedicated to representing personal injury victims, and to restoring justice on their clients’ behalves. Attorney Sink has more than 35 years of experience and has a 10.0 Superb Avvo Rating. He is also a member of the Million Dollar Advocates Forum® and the Multi-Million Dollar Advocates Forum®. The firm handles a variety of cases including those involving auto accidents, premises liability, medical malpractice, and wrongful death. The team also represents individuals who have been injured at the workplace. No case is too simple or too complex for the firm to handle, and the team always works tirelessly to help clients obtain their rightful compensation. Grimes Teich Anderson Injury & Disability Lawyers is a North Carolina and South Carolina law firm, with several offices, one in Greenville. The practice, founded over 35 years ago, handles cases such as car accidents, workers’ compensation, social security disability, wrongful death, personal injury, and other claims. The firm is a member of the South Carolina Association for Justice, Injured Workers’ Advocates, and many other associations. Guest & Brady Attorneys at Law is a personal injury law firm in Greenville, founded in 2005. Featured practice areas include serious brain injury, wrongful death, car accidents, premise liability, and other cases. Founding partner, Russell Guest received his Juris Doctorate from the University of South Carolina School of Law in 1991, and Kevin Brady received his Juris Doctorate from Law Center in 1999. The firm is a member of the South Carolina Association for Justice and the Injured Workers’ Advocates, among other associations. Hammack Law Firm was founded in 2008 by Paul Hammack. Mr. Hammack is active in Georgia and South Carolina and has an office in Greenville. The firm represents individuals in personal injury cases such as truck accidents, motorcycle/auto accidents, boating accidents, insurance defense and coverage, and many others. Mr. Hammack was given a “9.7 – Superb” Avvo rating in Top Rating for Personal Injury. Harrison, White, Smith & Coggins, P.C. is a law firm in Spartanburg, founded in 2000. The firm handles auto and truck accidents, personal injury, criminal defense matters, wrongful death litigation, workers’ compensation, social security disability, business litigation, family law issues, and other cases. The four founding members were listed in the Best Lawyers peer-review publication. Hawkins Law Firm, founded in 1996, is headquartered in Greenville. The practice concentrates in personal injury cases involving auto accidents, motorcycle accidents, slip-and-fall, truck accidents, defective products, and on the job injuries/illnesses. John David Hawkins, the managing partner of the firm, received his Juris Doctorate from the University of South Carolina School of Law in 1994. Holland & Usry, P.A. is a law office in Spartanburg focusing on personal injury, criminal defense, DUI/DUAC, workers’ compensation, and family law. The firm, founded in 1988, by Bob Holland, and was later expanded with Rob Usry and John Holland. The practice is a member of the South Carolina Association of Criminal Defense Lawyers, National Association of Criminal Defense Lawyers, South Carolina Association for Justice, and other organizations. Martin & Martin Attorneys, P.A. is a law firm in Greenville founded in 2005 by Alton L. Martin Jr. and Laura Martin. The firm deals with cases including workers’ compensation, personal injury, and immigration. The practice is a member of the AILA’s Immigration Lawyer Search and AV Preeminent Peer Review Rated by Martindale-Hubbell. Parham Smith & Archenhold is law firm in Greenville handling medical malpractice, personal injury cases, and car wrecks and vehicle accidents. The firm was founded over 30 years ago by Michael Parham, who passed away in 2012 (Note: not sure if I should mention that but I will leave it in for now). Attorney M. Brooke Archenhold was rated Top 40 Under 40 by the National Trial Lawyers organization. The firm was listed in Martindale Hubbell’s Bar Register of Pre-Eminent Lawyers and Blake Smith has been AV rated. Patrick E. Knie Law Offices founded over 40 years ago, is located in Spartanburg and Greenville. The firm practices personal injury cases including motor vehicle accidents, workers’ compensation, work injuries, class actions, Mesothelioma, dangerous and defective products, and other claims. Mr. Knie earned his Juris Doctorate from the University of South Carolina School of Law in 1972. Ryan Montgomery Attorney at Law handles serious injuries, workplace accidents, and disability cases for individuals in Greenville. Mr. Montgomery received his Juris Doctorate from the University of Baltimore in 2000. In 2011 and 2012, he achieved an AV* Preeminent rating from Martindale-Hubbell. Other cases the practice concentrates on include workers’ compensation, wrongful death, product liability, and motor vehicle accidents. also featured in Columbia listing in above assignment; used same snippet but changed office location Shelly Leeke Law Firm is a personal injury firm in Greenville practicing personal injury cases such as motor vehicle accidents, wrongful death, workers’ compensation, dog bites, nursing home abuse, and others. Shelly Leeke is a member of the South Carolina Association for Justice, the American Association for Justice, the American Bar Association, Rotary International, and the Mount Pleasant Rotary. She earned her Juris doctorate from Tulane Law School in New Orleans and was rated “9.7—Superb” by Avvo. The Clardy Law Firm is a law firm in Greenville focusing on personal injury cases, workers’ compensation claims, and social security disability claims. Alan Clardy, the founder of the firm, has 20 years of experience practicing law. He is a member of the Million Dollar Advocates Forum, The National Trial Lawyers organization, and other associations. The Clardy Law Firm is an AV-rated firm by the Martindale-Hubbell system. The Law Offices of Perry B. DeLoach, Jr., founded in 2005, is headquartered in Greenville. The firm concentrates primarily on personal injury actions, automobile accidents, federal criminal cases, state criminal cases, and DUI cases. He received his law degree from the University of South Carolina School of Law. Thomas Creech Law Offices, founded in 2003, is a personal injury law firm in Greenville. Attorney Thomas Creech is experienced in helping individuals in car wrecks, slip-and-fall accidents, defective products, medical malpractice, construction accidents, and motorcycle accidents. Mr. Creech was chosen as a Top 100 Trial Lawyer-Civil Plaintiff in the State of South Carolina by the National Trial Lawyers of America.